If you’re reading this review, chances are you’re looking for some information on NuCerity. Someone may have contacted you about the NuCerity business opportunity, or you may be considering purchasing one of the NuCerity products. But either way, I would encourage you to read this review in its entirety before making any decision. In this brief but informative review, I’ll cover NuCerity International as a company, the NuCerity business opportunity and what you need to get a totally unfair advantage and position yourself to have success if you decide that NuCerity is the right company for you. Does It Provide The Right Treatment For Your Skin? I will tell you in advance that I AM NOT A NUCERITY DISTRIBUTOR OR A NUCERITY so this is a totally third party unbiased review of both the products and the opportunity. NuCerity – The Company – Who are they? NuCerity, which specializes in unique, non-prescription skin and health care technologies, was launched in the network marketing industry by its founders Lonnie McKinney, David Dillingham and Richard Jaenicke. The company offers a home-based business opportunity for those who sign up as members. So far the company has launched Skincerity and LuCerity, which are both skin-related products. NuCerity has a medical advisory board consisting of a leading expert in anti-aging medications and treatments. The founder of NuCerity is Lonnie McKinney, who is also the Co-Chairman and has 25 years experience in management, sales and distribution. He is also the co-founder of DermaCorp, Inc. David Dillingham is also the founder of NuCerity and the Chief Operations Officer. As the founder of NuCerity, Richard Jaenicke also works as the Chief Technology Officer. Acting also as the Chief Technology Officer is Mark Carroll. The President of NuCerity International is Kevin K. Allen and Jack Lyndon Thomas is the current Chief Financial Officer. NuCerity started out in the network marketing industry with its first product, Skincerity. The Skincerity Nightly Breathable Masque consists of a special patented technology that allows its consumers to protect their skin from being damaged. In conjunction with Skincerity, the company launched the Skincerity youth movement; a step to further promote Skincerity. While Skincerity is a roll-on masque, Lucerity is a roll-on facelift that contains Lutein. Since NuCerity is a company that specializes in non-prescription skin and health care technologies, it makes use of the person to person marketing strategy. Members, who sign up for $59, are also distributors hence its official website offers several tools to help the distributors its products well. Following that, distributors of NuCerity get to earn an extra income online by selling its skin-care products. The company also allows its distributors to sell its products through direct selling methods offline. Several programs have been created by the company that allows distributors to earn money with NuCerity products. NuCerity is already well-known brand in the market with a loyal customer base. Its compensation plan consists of Retail Profits, Fast Start Order Bonus, Star Bonuses, Mentor Bonuses, Bulk Order Bonuses, Team Volume Commission, Diamond Rewards and Leadership Bonus. The NuCerity Compensation Plan enables its distributors to earn profits and commissions through any of the ways stated above. A luxury car allowance and a Travel Allowance are awarded to Diamond Rewards eligible members. NuCerity – Does It Provide The Right Treatment For Your Skin? In closing, NuCerity is a credible company that offers a solid business opportunity to anyone who drinks water. However, even though this is the case, the company, the products and the compensation plan will not guarantee that you will have success with NuCerity. In fact, unless you learn how to become a professional marketer and generate a steady stream of quality leads to speak with about NuCerity, you will end up being another casualty of the industry. Pitching your friends and family will only take you so far. With this strategy alone, most people last between 6 to 8 weeks. Without a steady stream of qualified leads to talk to about the NuCerity business opportunity, your chances of succeeding are slim to none. Once you learn how to use attraction marketing strategies, not only will you have a steady stream of leads, but many days your phone will ring with INCOMING CALLS from people that are seeking you out as a leader that can help them gain success. With a steady stream of leads, quite honestly, there’s no telling how successful you can be with your NuCerity business. 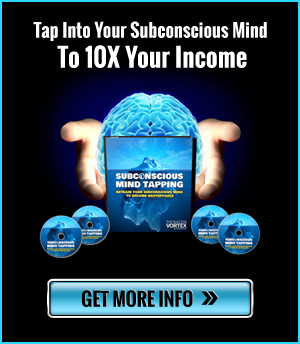 Interested In Generating Leads For Your NuCerity Business? My recommendation is that you use a proven Attraction Marketing system that allows you to brand yourself as a leader, generate leads, make money even when people don’t join your business and sponsor people on the back-end. If you can successfully combine a powerful online marketing system with time-tested offline marketing techniques, there’s no telling how successful you can be with NuCerity. If you are looking for ultimate success with your NuCerity business, it will require a working knowledge of personal branding and lead generation. Learn to build your NuCerity down-line by being an Alpha Networker both offline and online. 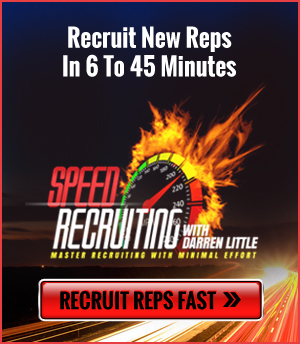 Additional online training to help you Sponsor More NuCerity Reps is available with Darren Little. Additional online training to help you Sponsor More in MLM is available with Darren Little.